Gokudō. The extreme path. A word signifying a life of violence, extortion, and drug trafficking. A society where one is expected to amputate a portion of their finger to apologize for offences against others. And simultaneously, an organization whose members carry business cards, list their headquarters in phone books, and have pension plans for their members – all of which are fully permitted by the government. The Yakuza are quite unlike any other criminal organization in the world. 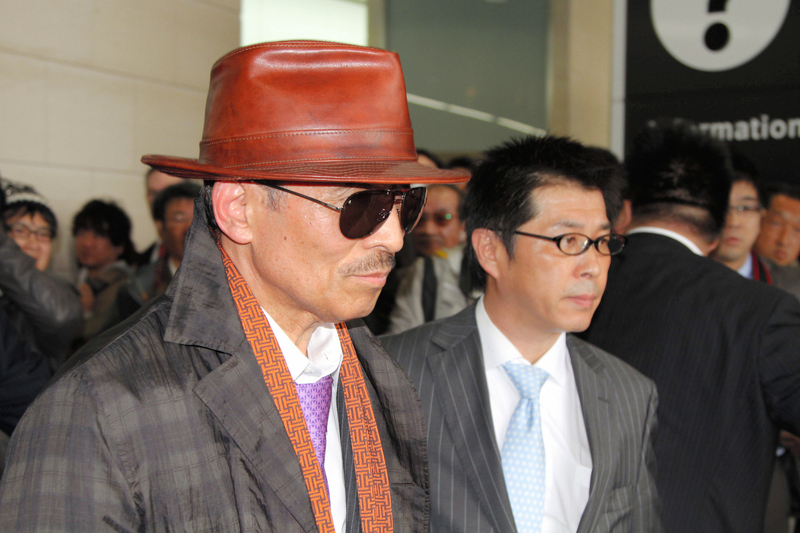 These Japanese crime bosses are viewed as celebrities by the nation’s populace. Movies and comic books romanticize the mystique of their criminal lifestyle, often portraying them as bona fide Robin Hoods or misunderstood heroes. In the United States, it would be unimaginable for a mainstream piece of media to glamorize the Bloods or the Latin Kings, for example – we are used to law enforcement treating gangs and underground organizations with a policy of zero tolerance. Crackdowns over the past few decades almost entirely destroyed the power structure of the Sicilian Mafia, and President Trump has attacked emerging gangs such as MS-13 with surprisingly fiery rhetoric. Japan has shown no interest in addressing Yakuza syndicates in such a way. 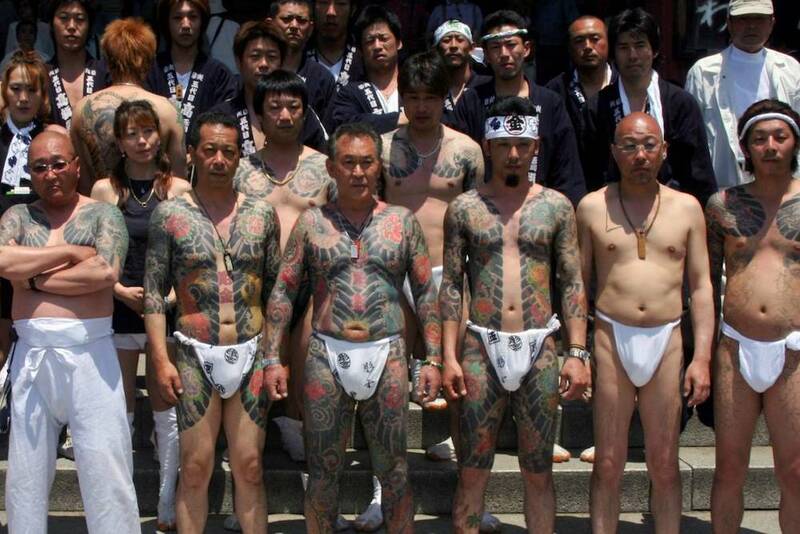 The Japanese government is certainly not entirely complacent with the existence of the Yakuza. They have passed a multitude of laws aimed at reducing membership, including criminalizing the creation of business deals with known syndicates. These measures seem to have been quite effective, as the Yakuza has found itself weaker than ever before – in 2016, the Japanese police reported that membership had declined below 40,000 (still almost 10 times larger than the American Mafia at its peak). But the ubiquity of Yakuza influence in business has not subsided. In recent years, they have moved towards more legitimate dealings, becoming involved with real estate, construction, gambling, MMA, and private security. The Yamaguchi-gumi, Japan’s largest Yakuza syndicate, is often referred to as Japan’s second largest private equity fund thanks to their numerous forays into the world of investment. Both metaphorically and literally, members of the Yakuza are beginning to cover their tattoos with suit jackets and ties. Their movement to legal business channels, however, is far from clean. Members of one syndicate swindled the Lehman Brothers Holdings Corporation out of $350 million using forged paperwork. Other members have infiltrated Japanese corporations to establish favorable deals for their groups. Individuals can often find themselves in hopeless negotiations over pieces of land with Yakuza members who purchased them using insider information and plan on holding them hostage for large sums of money. The Yamaguchi-gumi also involved itself heavily in cleanup efforts following the 2011 Fukushima disaster; while this may seem compassionate at first, it was revealed that the group was establishing companies that not only distributed workers and heavy machinery, but provided prostitutes and drugs to those working at the power plant as well. Blackmail is another favorite tool of the syndicates – men called sōkaiya force companies to comply with them through a variety of clever tactics, including purchasing enough stock to gain access to shareholder meetings where they then publicly announce company incidents and secrets. A significantly more straightforward tactic developed recently is that of the banzai sōkaiya – men who enter places of business and shout “Banzai!” alongside cries of praise for the Emperor until they are paid to leave. One in five Japanese companies have publicly admitted to paying off Yakuza groups despite laws against doing so. Continually, they have circumvented Japanese laws aimed at preventing their success, although the increased difficulty in doing so has eliminated opportunities for many members. Perhaps the most important factor in the success of the Yakuza has been their political influence. As recently as 2007, the now-defunct Democratic Party of Japan (DPJ) received an endorsement from the Yamaguchi-gumi, who were in the midst of recovering from a police crackdown. Two years later, the party dominated in the general elections, winning 308 of 480 seats in Japan’s House of Representatives. This is quite a peculiar scenario – despite being publicly backed by a criminal organization, the party faced no repercussions legally nor did they suffer damage to their reputation. But historically, these sorts of relationships used to be quite common in Japan. In the years following World War 2, Japan’s Liberal Democratic Party used the Yakuza as hired muscle to break up protests and unions. In 1987, prospective Prime Minister Noboru Takeshita found himself hopeless against fleets of propaganda trucks paid for by his opponents, which drove down Japan’s streets insulting him. An ally of his sought out a crime boss, Susumu Ishii, for help, and within a little while, the trucks were silenced forever. Reports of bribery and payoffs have characterized Japanese political news for decades. But the Yakuza’s movements towards investments may be inspired by a major shift in public opinion regarding the mix of underground blood with the political sphere. In 2012, former Prime Minister Yoshihiko Nada of the then-ruling Democratic Party came under fire after it was revealed that Keishu Tanaka, his new Minister of Justice, had ties with a Yakuza group. These ties did not run deep – the most that could be unearthed was that Tanaka had spoke at a party hosted by a crime boss 30 years prior. Despite these relatively weak allegations, Tanaka lasted only 22 days in the position before being forced to resign, and the Democratic Party lost 173 seats in the next elections. Compare this to the case of former Transportation Minister Shizuka Kamei only 18 years prior, in 1994 – despite admitting to taking roughly $6 million directly from a Yakuza boss, he was not only allowed to keep his position, but was later appointed as the Minister of Financial Services, granting him the responsibility of keeping Japan’s markets clean. This bizarre change in standards is not mere coincidence. It is reflective of a widespread societal rejection of Yakuza influence in politics. But what exactly spurred it? While a clear answer hasn’t quite emerged, it appears as if international attention has played a slight role. In early 2012, President Obama named the Yakuza as a threat to the national and financial security of the United States, and later froze the assets of Yamaguchi-gumi leaders flowing overseas. Japan was unable to fully comply with American wishes thanks to the almost insurmountable influence held by syndicates over the nation’s stock market and government, causing a great deal of embarrassment. The evolution of the Yakuza from a domestic nuisance into a global liability was therefore a final tipping point for Japan. The increased ease of reporting cases of bribery thanks to electronic media has certainly been a factor as well, as more and more citizens are realizing the problem is more ubiquitous than previously believed. One may find themselves confused by this enigma – Why is the Yakuza is allowed to exist given the trouble they have caused Japan in the past century? The official reason given by the Japanese government is that criminalization will simply drive illicit activities further underground, causing them to prosper further. They prefer to weaken them with regulations – organized crime is better than unorganized crime, they often say. To put it more simply, they just can’t do anything drastic – not that they would want to. The existence of an almost unaccountable criminal agency willing to do the dirty work of the elite is certainly convenient. After decades of economic and political influence, there is no telling how deeply entrenched the Yakuza is with Japan’s everyday life. This sickness has become malignant, and there is no way to treat it without threatening the wellbeing of the nation as a whole. As the Japanese government continues to tighten the rope around the neck of Yakuza syndicates throughout the nation, it will be worth seeing if their slow move towards pseudo-legitimacy will secure them a place in the nation’s future.